Load a traditional keyword suggestion report. 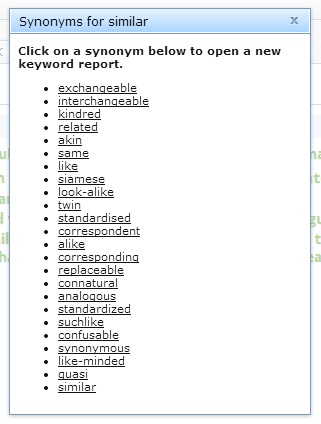 Right click on a keyword within the report from which you want to find synonyms for. 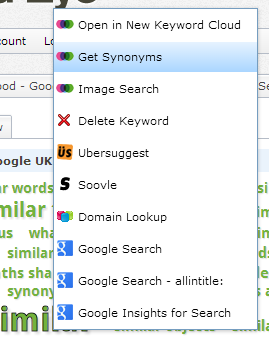 Click ‘Get Synonyms’. This will open a new overlay which will contain a list of synonyms. Simply click on one of the synonyms and it will automatically open a new keyword suggestion report for that synonym in a new tab. Easy, right? Let your keyword brainstorming go wild!